Updated 25th April 2019 at 12:55 Thank you for being our 2226358 visitor. 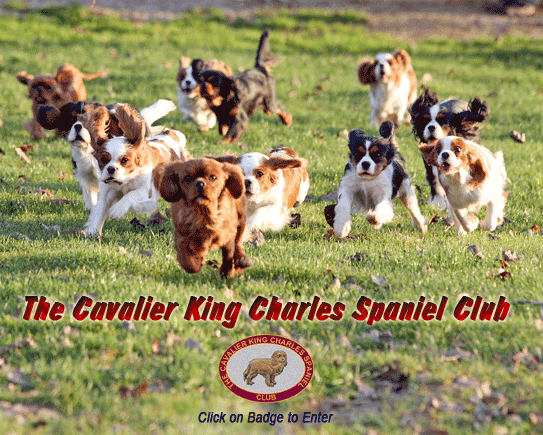 Sections on this website make use of "Cookies" however the Cavalier King Charles Spaniel Club does not retrieve nor make use of the content of any cookie generated by this site. In particular the Club Shop (Pay On Line) uses "Session Cookies" to allow you to carry information across the pages in the Club Shop (Pay On Line) and avoid having to re-enter information. These cookies expire at the end of your visit to our web site. You have the ability to accept or decline cookies by modifying the settings in your browser. However you will not be able to use the Club Shop (Pay On Line) if cookies are disabled.